Lamb is popular amongst residents but can be expensive. Meatballs offer a cheaper option. Served with a creamy mint sauce, they are sure to be enjoyed. 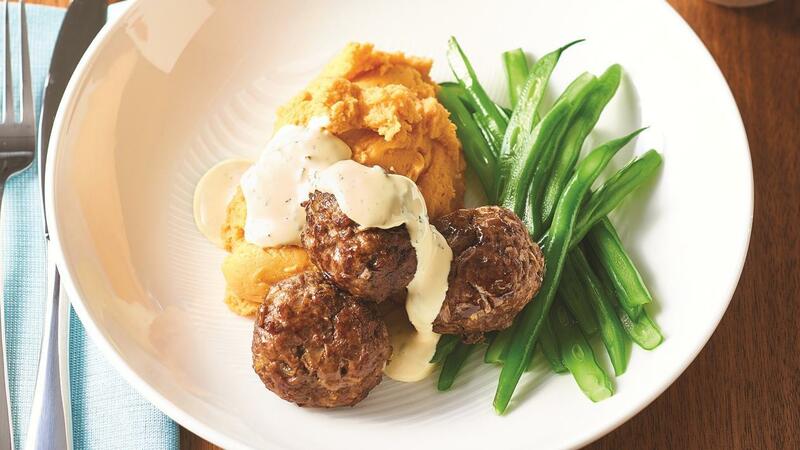 Combine the lamb mince, onions and Colman’s Dijon Mustard together and form into 50g meatballs or rissoles. Place onto a large tray and cook at 180C for 15 minutes or until browned and cooked. Combine KNORR Garde d’Or Hollandaise and mint together and heat. Serve with KNORR Instant Sweet Potato Mash, shredded beans and tomato and cucumber salad.